Product prices and availability are accurate as of 2019-04-18 17:21:46 UTC and are subject to change. Any price and availability information displayed on http://www.amazon.com/ at the time of purchase will apply to the purchase of this product. 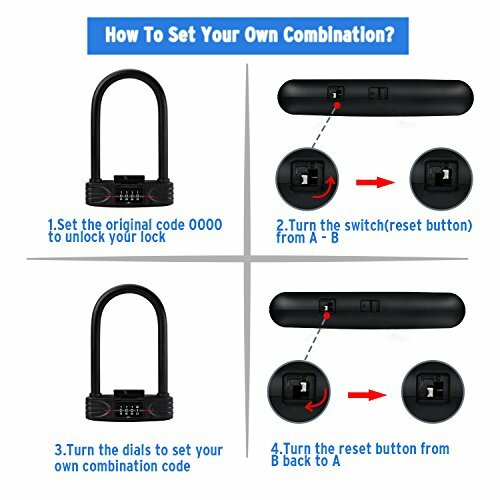 WHY AMAZER U LOCK CAN KEEP YOUR BIKE SAFE? 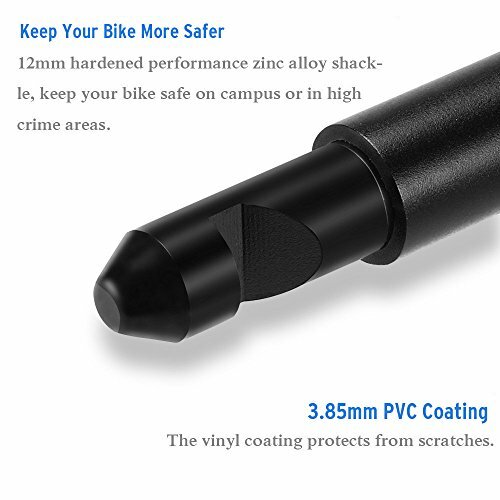 Amazer U lock is made of 12mm hardened performance steel shackle and covered by a 3.85mm PVC coating(Total lock's thickness is almost 16mm). So it can resist cutting and leverage attacks. The PVC lining on the "U" prevents it from scratching bike paint job. KEYLESS & EASY TO SET COMBINATION: Choose Amazer U lock, no more lost keys! 4-digit set your own combination convenience allows for thousands of possible combinations. 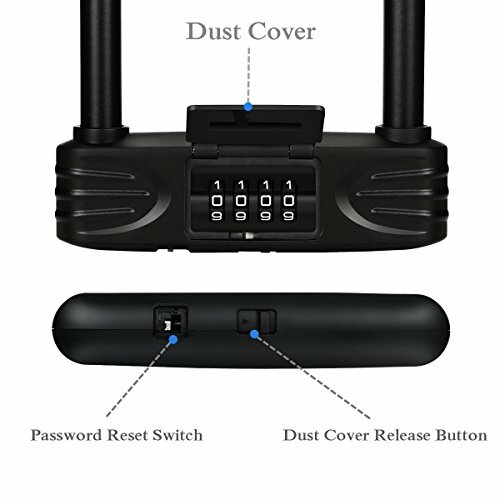 Prevent thieves use universal key to unlock your lock. DUST COVER: The combination is covered by a dust cover to protects and extends cylinder life. 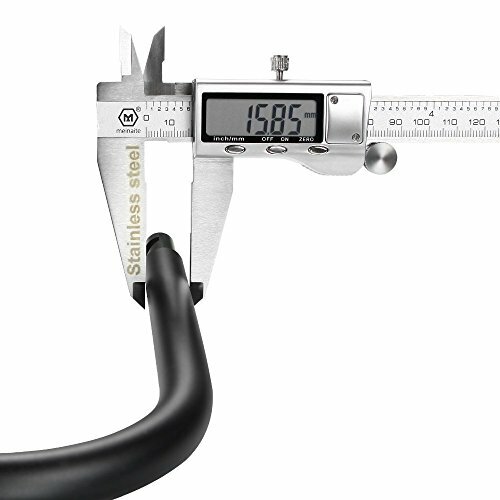 LOCK SIZE: 8.96"(Length) x 5.74"(Width) x 0.624"(Thickness) - PLEASE NOTE: Manual measurement for reference only. 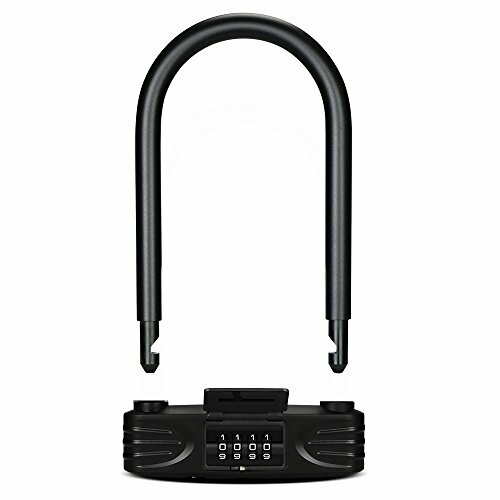 HEAVY DUTY LOCK OFFER YOUR BIKE MORE SAFETY: The lock's net weight is 1.817 lbs(0.824 kg). The shackle is made of steel, the cylinder is steel and made of solid zinc alloy. Whole lock is covered by quality PC material for good looking and keep your bike from scratching. 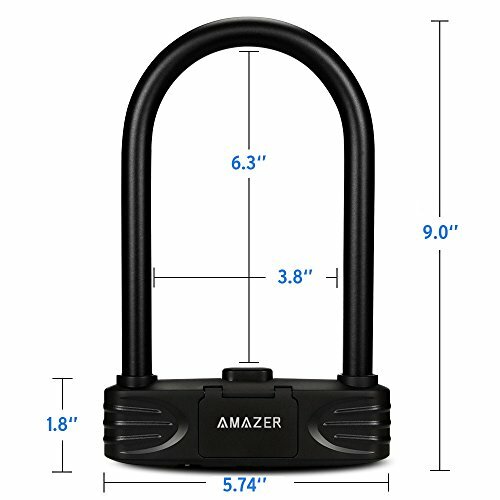 100% MONEY-BACK GUARANTEE: If you are not satisfied with Amazer's 12mm U lock, please return it within 30-DAYS and get a full refund, NO questions asked. We stand behind the quality of all our products.